Black Legion Undead Knife 2 for 1 | BUDK.com - Knives & Swords At The Lowest Prices! 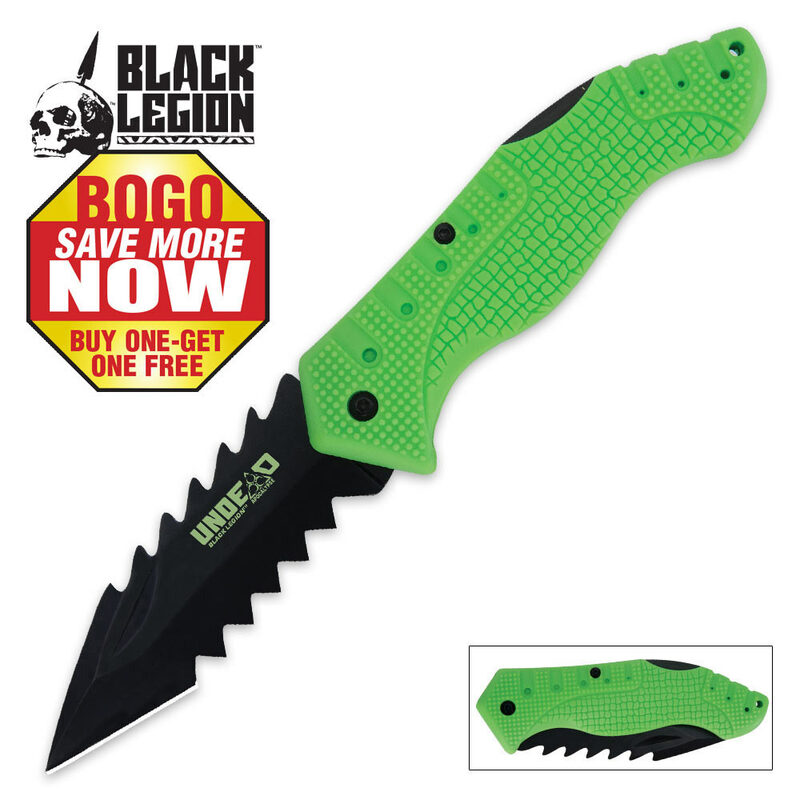 The Undead won't know what hit them when you take them on with this Undead folding pocket knife only from Black Legion. The black-coated, solid stainless steel blade is razor sharp and heavily serrated, including powerful saw back serrations on the back. The green rubberized handle will provide you a sure grip as you take on the Undead hordes. Keep it always at the ready with the stainless steel pocket clip. Measures 4 ½" closed.